The deepening engagement of China in Africa since the end of the cold war has led to debates about the evolving nature of this relationship, yet the focus of analysis has largely been confined to the interactions between states. Little attention has been paid to the growing dialogue between Chinese and African civil society organizations. 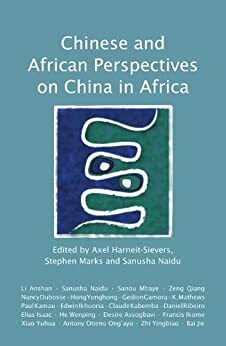 This collection of essays written by scholars and activists explores the interaction between African and Chinese nonstate actors and argues that the future of AfricaChina relations rests on including such voices if a robust and vibrant engagement and a meaningful relationship are to be sustained. These essays assess China's activities in Africa through patterns of investment, legal cooperation, effects on the environment, trade, aid and labor links, questions of peace, security and stability, the African Union response, possible regulatory interventions, and the future strengthening of an AfricaChina dialogue. "This volume adds valuable new insights to the necessary ongoing debate. It brings together a variety of different perspectives and approaches, both from Chinese and African points of view, on a wide range of themes and helps us understand the range of African responses to China's role." Dr. Henning Melber, Dag Hammarskjold Foundation"
Axel Harneit-Sievers is a political scientist and historian who specializes in African and development studies. He heads the Nigeria office of the Heinrich Boll Foundation. Stephen Marks is a freelance researcher, writer, and consultant who specializes in issues of economic development, human rights, planning, and the environment. Sanusha Naidu is the research diretor of the China in Africa project with Fahamu in South Africa, a former research fellow at the Centre for Chinese Studies at Stellenbosch University, and a former research specialist at the Human Sciences Research Council in South Africa."